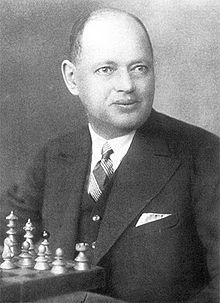 Rudolf Spielmann (5 May 1883 - 20 August 1942) was an Austrian-Jewish chess player of the romantic school, and chess writer. Spielmann was a lawyer but never worked as one. He was known as "The Master of Attack" and "The Last Knight of the King's Gambit". His daredevil play was full of sacrifices, brilliancies, and beautiful ideas. This was exemplified, for example, in the 1923 Carlsbad tournament, where he did not have a single draw (with five wins and twelve losses). Despite a strong opposition at that time with players like Alekhine, José Raúl Capablanca, Emanuel Lasker, Tarrasch, Rubinstein, Nimzowitsch, and Tartakower, Spielmann managed to score well in numerous tournaments. He won 33 of the roughly 120 in which he played, including Stockholm 1919; Bad Pistyan 1922; and Semmering 1926. 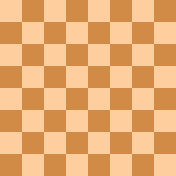 He is also remembered as the author of the classic book The Art of Sacrifice in Chess . As a Jew, Spielmann had to flee from the Nazis, escaping to Sweden. He died in Stockholm in great poverty. According to Richard Réti, Spielmann demonstrated "unusual resourcefulness in complicated situations, in which he felt perfectly at home." Spielmann himself believed "A good sacrifice is one that is not necessarily sound but leaves your opponent dazed and confused."